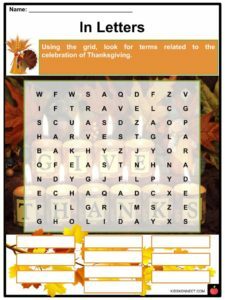 Thanksgiving Day is one of the most important federal holidays in the United States celebrated every fourth Thursday in November. 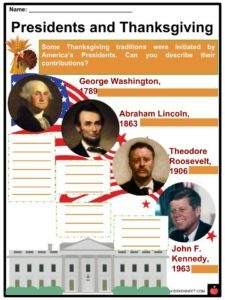 Thanksgiving Day is one of the most important federal holidays in the United States celebrated every fourth Thursday in November. Over time, some families celebrating this day have continued to uphold the old traditions while others opted to modify the holiday accommodating their own traditions. 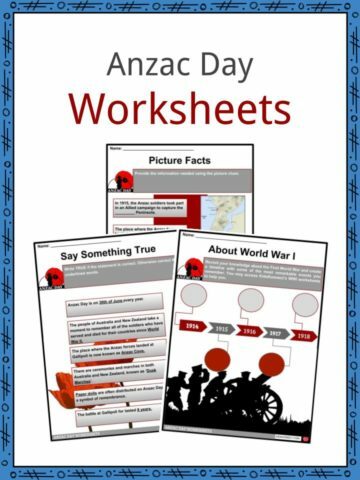 See the fact file below for more information on the Thanksgiving Traditions or alternatively, you can download our 23-page Thanksgiving Traditions worksheet pack to utilise within the classroom or home environment. In the early autumn of 1621, Pilgrims from Europe celebrated the first Thanksgiving in America together with the native Wampanoag Indians at the Plymouth Plantation in Massachusetts. The Pilgrims celebrated thanksgiving with the Wampanoag tribe to give thanks for the first successful harvest in the New World. Moreover, it was the Wampanoag people who taught them how to cultivate the land to be able to survive the winter. In particular, Squanto and his Patuxet tribe assisted the Pilgrims in their settlement in the New World. Among the attendees was Edward Winslow, an English leader who described the first feast, which consisted of fowl, squash, flint corn, porridge, shellfish, and chestnuts. In 1789, President George Washington observed Thanksgiving as a national holiday to give thanks and prayers. However, it was only in 1863 that the celebration became an official federal holiday through the proclamation of President Abraham Lincoln. Despite the simplicity of the first Thanksgiving feast, food on the table of Americans today include the traditional roasted turkey with stuffing, gravy, sweet potatoes, mashed potatoes, cornbread, and cranberry sauce. Others include apple cider, custard, hot chocolate, buttered rum, ham, fruit cake, candy canes, plum pudding, mixed nuts, fudge, pies, and eggnog. During this day, families gather to have a Thanksgiving meal together. Most do the breaking of the turkey wishbone during the meal wherein the one who gets the larger piece is granted a wish. There are many churches in the United States that hold a special Thanksgiving service to give thanks for the blessings they have received. In 1963, US President John F. Kennedy officially pardoned a turkey before the Thanksgiving dinner at the White House. Since then, succeeding presidents continue the tradition of saving a turkey’s life. 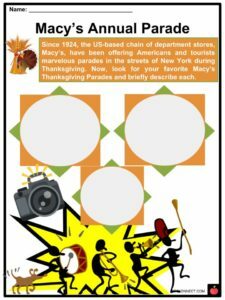 Since 1924, Macy’s, a department store chain in the US, holds its annual Thanksgiving Parade which includes marching bands, gigantic floats, balloons, and broadway musicals. 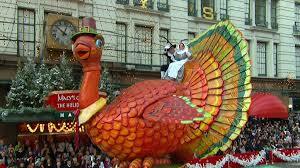 Macy’s tradition started as a Christmas parade in celebration of the expansion of its flagship store in Manhattan. They introduced floats highlighting Little Miss Muffet, Little Red Riding Hood, and an animal parade. Felix the Cat was the first character balloon flown during the Macy’s parade in 1927, while Mickey Mouse made his debut in 1934. 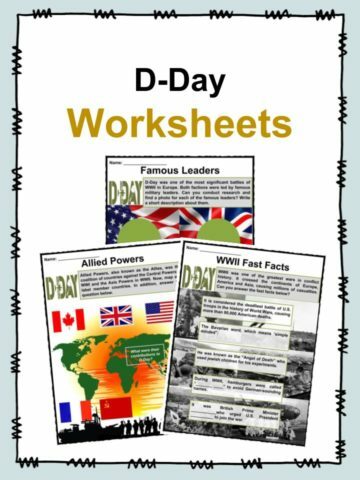 At the height of WWII in 1942 until 1944, the parade was halted. The day after Thanksgiving is called Black Friday and is considered the largest and busiest shopping day of the year. This day marks the beginning of the many holiday sales before Christmas. Thanksgiving is also a day to watch football live or on the television. Also during Thanksgiving, many Americans give back and share their blessings to the less fortunate by creating food drives as a form of charity. As part of the turkey tradition, there are approximately 46 million turkeys eaten every year during Thanksgiving. Some even call the celebration Turkey Day. For some, the Wednesday before Thanksgiving is the busiest day for travellers as many Americans use this holiday to enjoy family trips. 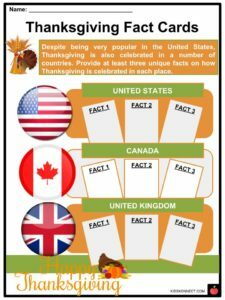 Thanksgiving is generally considered to be an American holiday, yet many countries around the world celebrate the day with almost the same traditions. Every 15th day of the 8th month of the lunar calendar, Chinese people celebrate the Mid-Autumn Festival, their version of Thanksgiving. It is a 3 day public holiday wherein people eat mooncakes and other harvest foods to pray for abundance the next year. German people celebrate Erntedankfest (Harvest Festival) through organized church celebrations thanking the great harvest and ensuring another year without starvation. About 2,000 years ago, Japanese people practiced their first ritual of offering for the season’s rice harvest. Today, Labor Thanksgiving Day is a way to appreciate the workers’ rights. In Vietnam, the Mid-Autumn Moon Festival is celebrated with the lighting of lanterns after the summer harvest was over. 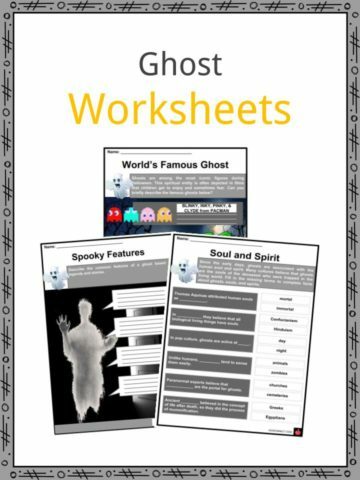 It is also the time for parents to connect with their children. Pongal is a four day Indian festival where people give thanks to nature and the blessings showered upon them. This is a fantastic bundle which includes everything you need to know about Thanksgiving Traditions across 23 in-depth pages. 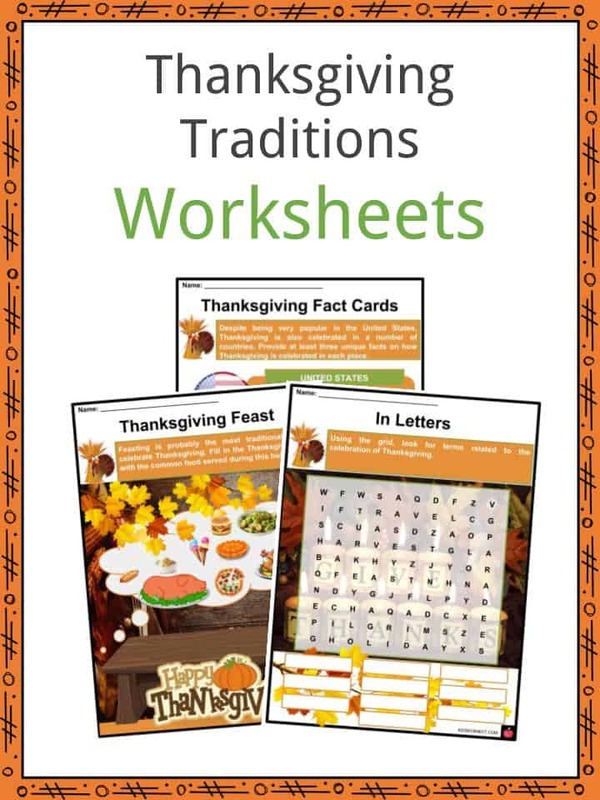 These are ready-to-use Thanksgiving Traditions worksheets that are perfect for teaching students about the Thanksgiving Traditions. 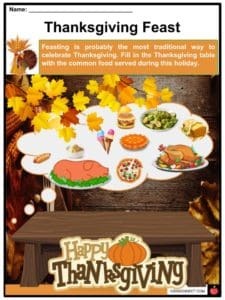 Thanksgiving Day is one of the most important federal holidays in the United States celebrated every fourth Thursday in November. Over time, some families celebrating this day have continued to uphold the old traditions while others opted to modify the holiday accommodating their own traditions.